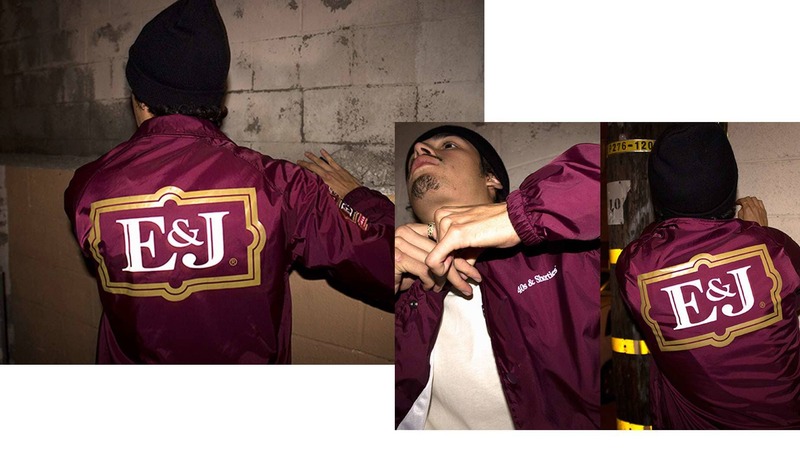 The collab that started it all. 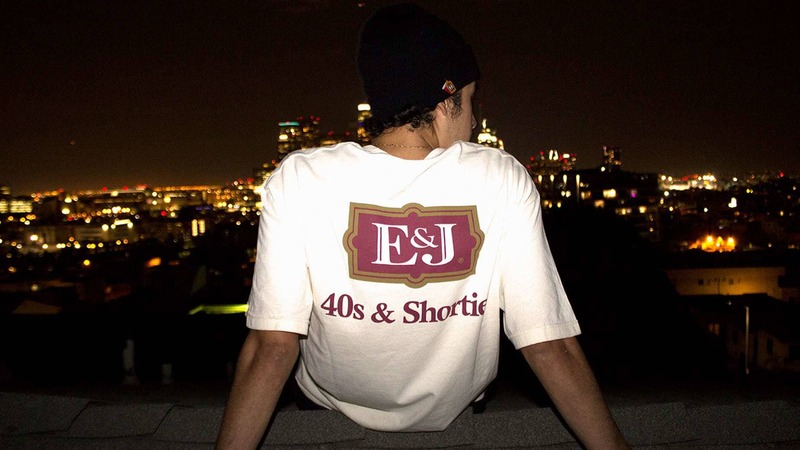 E&J partnered with 40s & Shorties to bring you an original E&J VS-inspired capsule. 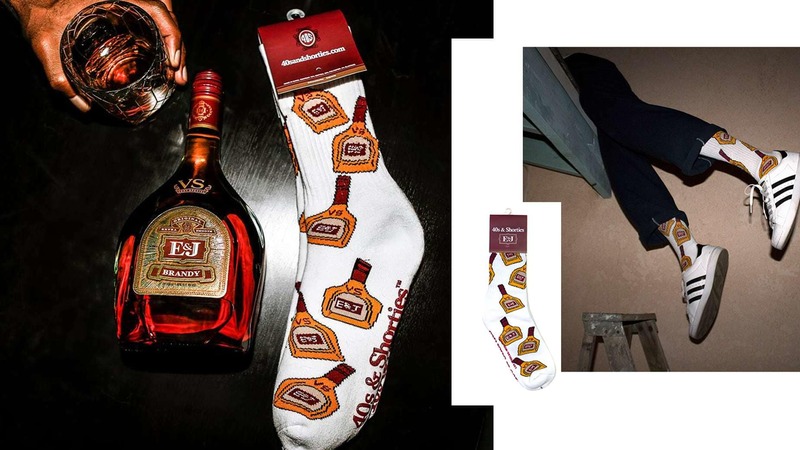 Sock game strong. 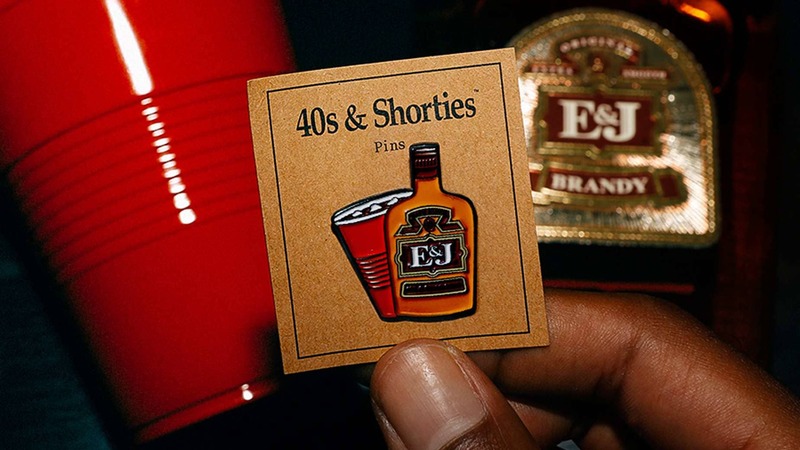 Inspired by VS, custom designed by 40s & Shorties and E&J Brandy. 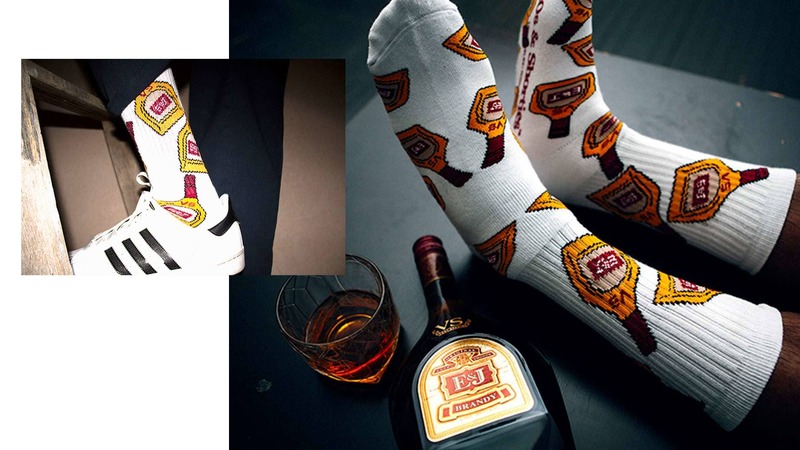 Woven socks with silicone printed logo on bottom. 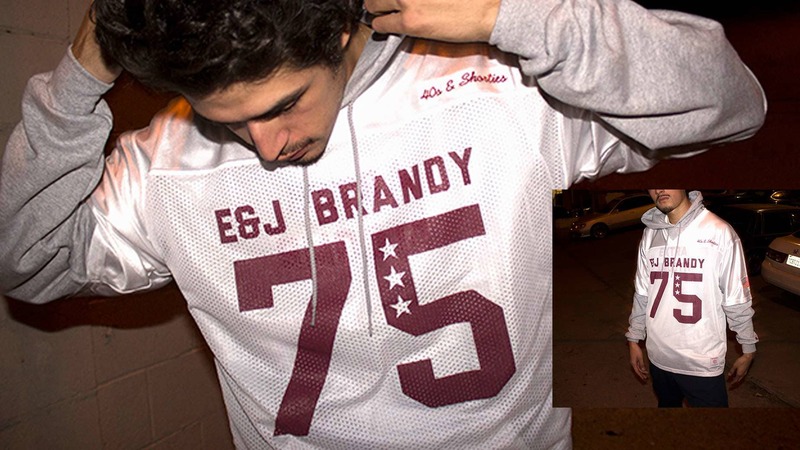 Rep your team. 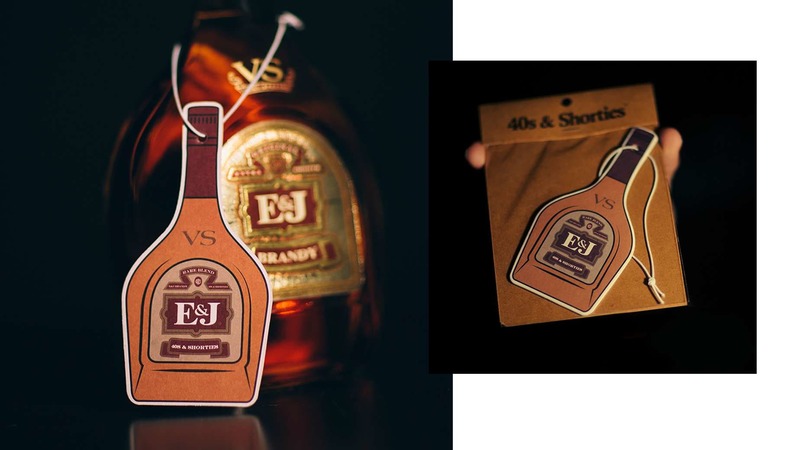 Custom designed by 40s & Shorties and E&J, inspired by E&J Brandy VS. 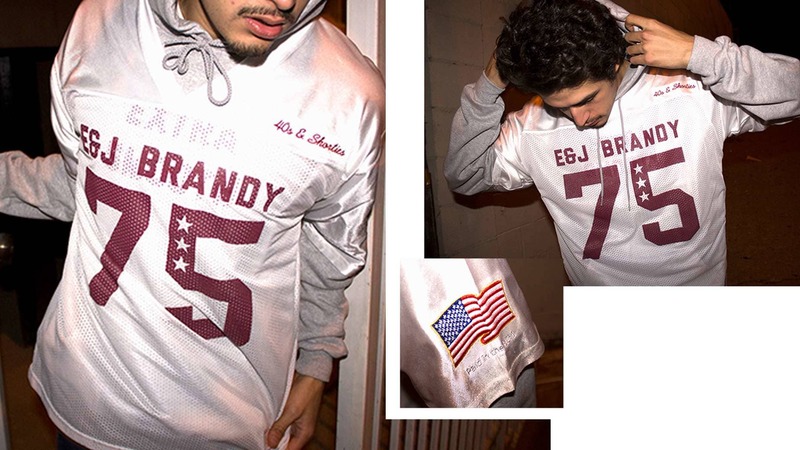 Featuring mesh material with embroidery. 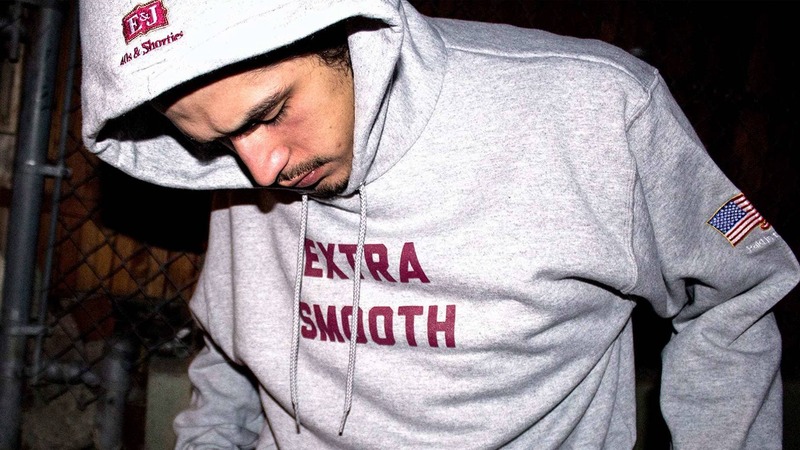 The collab the started it all. 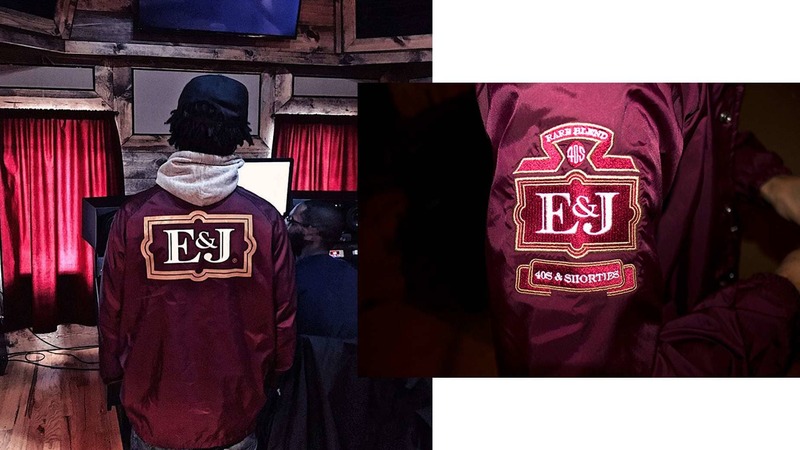 E&J Brandy partnered with streetwear brand, 40’s & Shorties, for a VS inspired line- capped off with this premium coach’s jacket. 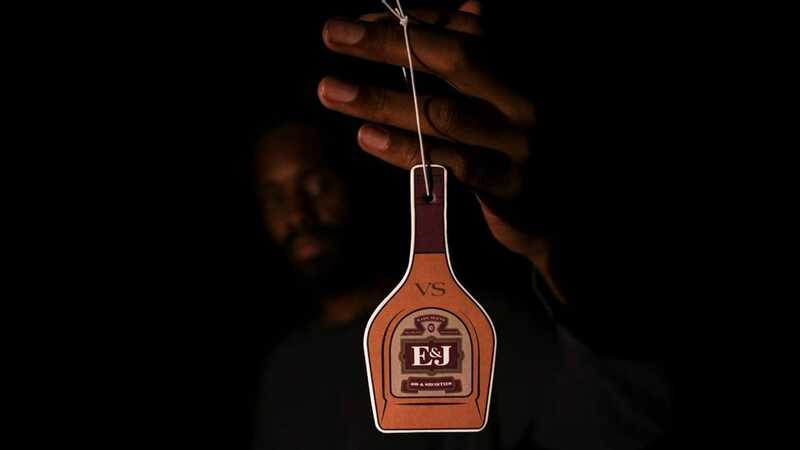 Designed with VS in mind and paired with a clean cologne scent, this E&J Brandy collab with 40s & Shorties keeps it extra fresh. 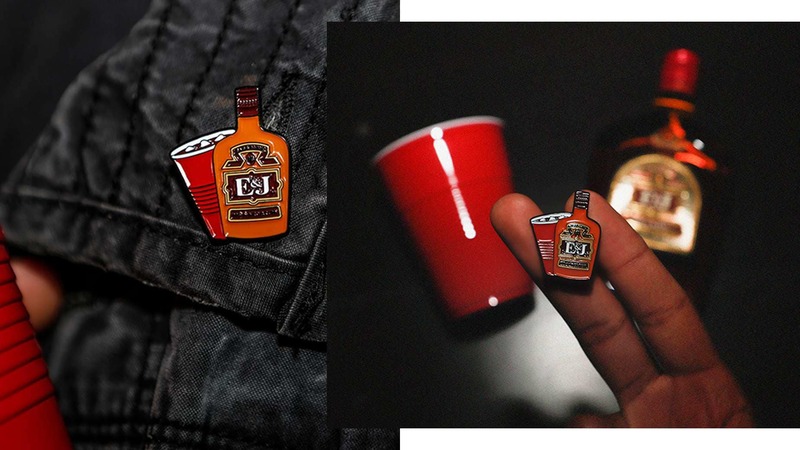 Wear your E&J pride on your sleeve. Or hat. 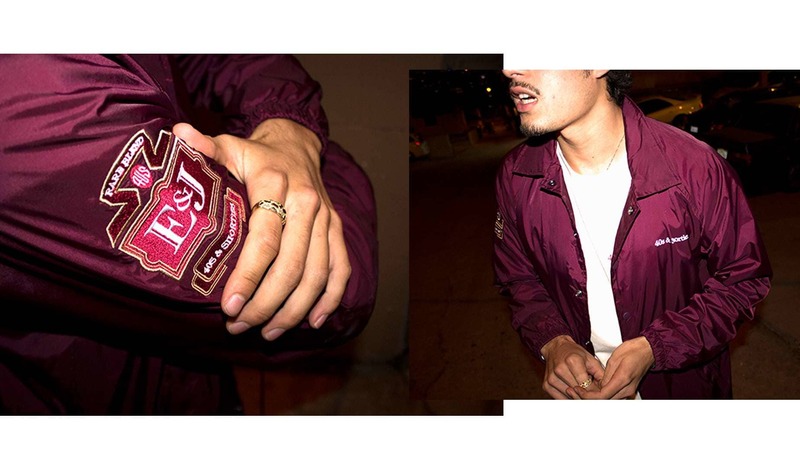 Or jacket. 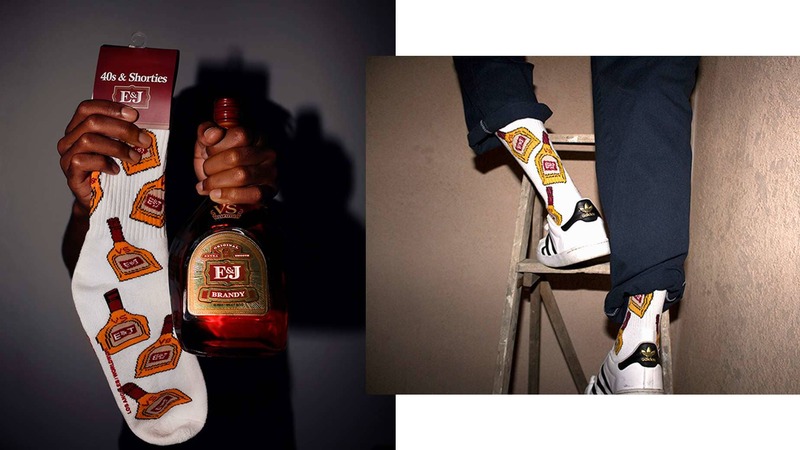 Inspired by VS, custom designed by 40s & Shorties and E&J Brandy. 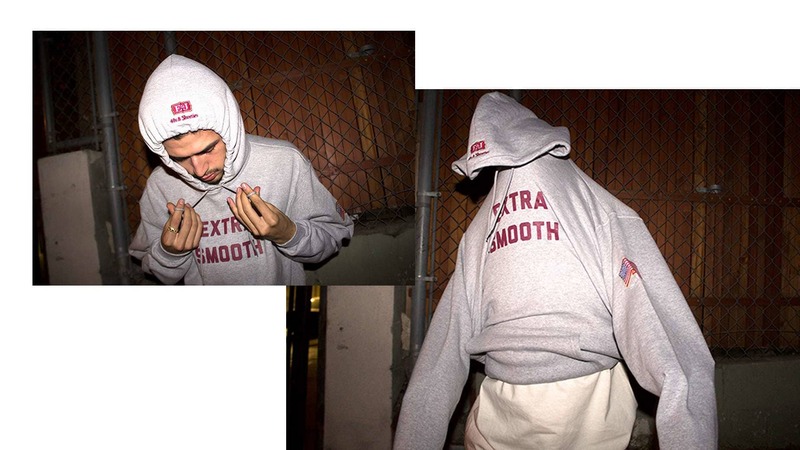 Custom “EXTRA SMOOTH” hooded sweatshirt, inspired by VS, designed by 40s & Shorties and E&J Brandy. 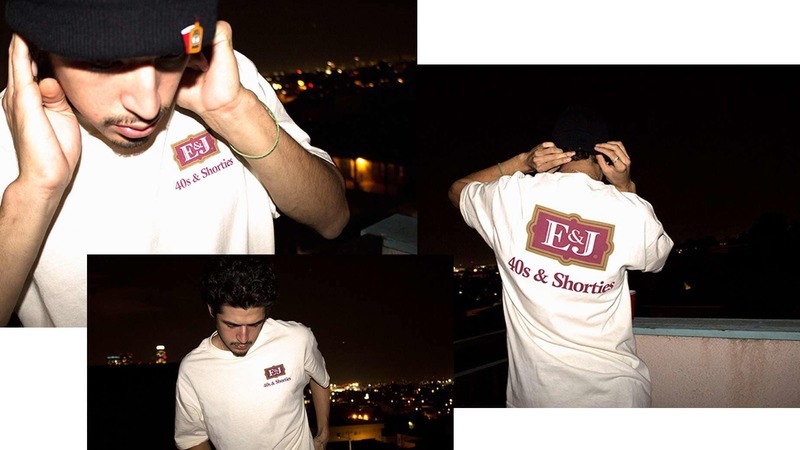 100% cotton E&J signature tee. 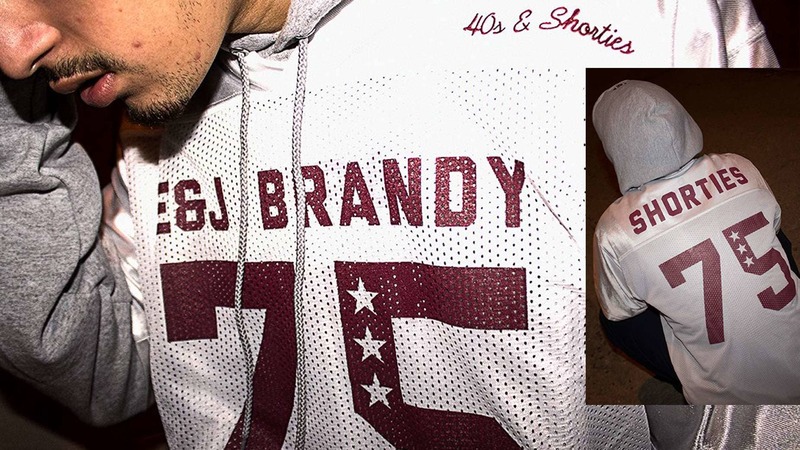 Inspired by VS, custom designed by 40s & Shorties and E&J Brandy.